Russia’s naval force in the Mediterranean will begin a tactical drill to test its readiness on August 15, the Defense Ministry’s press-service reported on Thursday. The group of 10 warships is planning to engage in live artillery and missile fire “under simulated battlefield conditions.” The force includes two fast attack guided missile craft, both armed with Kalibr-NK cruise missile complexes equipped with 8 missiles each. Simultaneously, on August 15, a group of four attack guided missile craft (each armed with 8 Kalibr-NK cruise missiles) will be deployed in the southwestern part of the Caspian Sea to perform live artillery and missile strikes, the ministry says. The warships are “fully combat ready” and capable of delivering strikes on targets inside Syria, according to Vladimir Komoedov, the head of the Russian State Duma’s Defense Committee and former commander of the Russian Black Sea Fleet, as cited by Interfax. 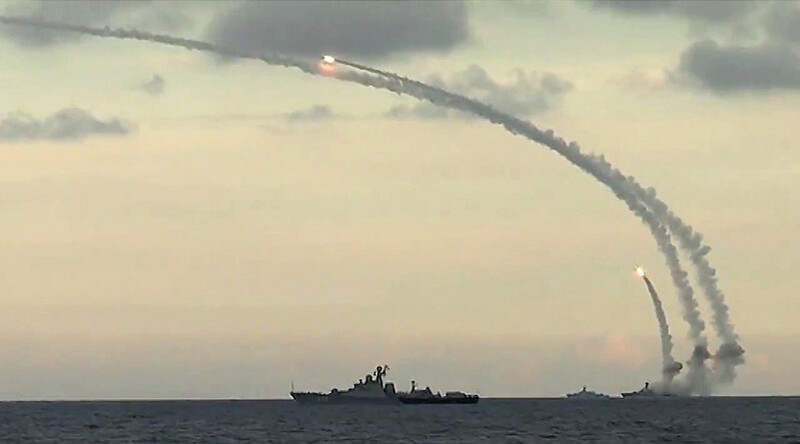 On October 7, 2015, four Russian Navy warships in the Caspian Sea fired a total of 26 missiles at positions in Syria held by the Islamic State terrorist group (IS, formerly ISIS/ISIL), Russian Defense Minister Sergey Shoigu announced. The missiles flew some 1,500 kilometers, changing route several times, and eliminated 11 targets. On November 20, warships of Russia’s Caspian Fleet launched 18 cruise missiles at seven targets in the Syrian provinces of Raqqa, Idlib, and Aleppo. All of the targets were successfully hit. On December 8, the Kilo-class diesel-electric submarine Rostov-on-Don launched 3M-54 Kalibr missiles from the Mediterranean that successfully eliminated two targets in Syria. 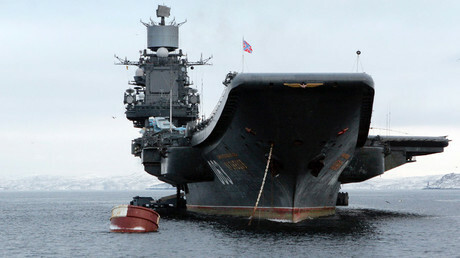 A military diplomatic source told TASS in early July that Russia’s only aircraft carrier, the Admiral Kuznetsov, will head from the Barents Sea to Syria in October in order to carry out airstrikes on jihadists. It is set to remain in the Mediterranean until at least January of 2017. The heavy aircraft-carrying cruiser will reportedly have 15 Sukhoi Su-33 all-weather air superiority fighters and Mikoyan MiG-29K/KUB multirole fighters onboard, as well as more than 10 Kamov Ka-52K, Ka-27, and Ka-31 helicopters.